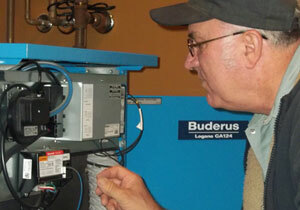 Burch Propane Service Plans provide peace of mind about your propane heating equipment. Depending on the level of coverage you prefer, we can assist you in determining the best plan for your needs. If you sign up for more than one service plan for the same address, you receive an additional $50 discount off one of the plans. For our customers currently on our EZ Pay Plan, the cost of these service plans will be added to your monthly payment. As an extra benefit, each service plan allows you to be eligible to participate in our special customer Loyalty Credit program. For being on one of our service plans, you will earn a $50 per year loyalty credit to a maximum of $250 to be used for purchasing selected propane equipment. These credits can save you up to $250 off a propane furnace, boiler, fireplace insert, or propane-powered tankless water heater.